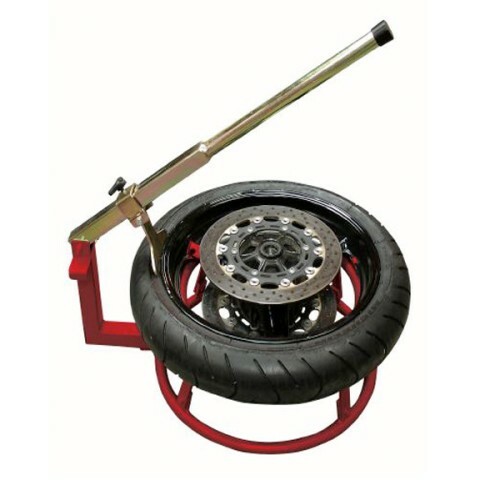 Make changing tires a breeze by using this portable tire/bead breaker. This unit works with all full size motorcycle tires including motocross style rims/tires. Works for most wheel and tire sizes. Long heavy duty handle for maximum force for breaking the toughest tire beads. Center post keeps tire in place while working on tire. Red powder coat for years of abuse! Very good changer would recommend to anyone!